While speaking during the inauguration of 54 of both Senior and Special Assistants on Monday, Kogi State Governor, Yahaya Bello, has reiterated that his administration was determined to go after those who stole the common wealth of the people in the past years and recover such loot. The governor warned them not to see their appointments which was made about three weeks ago, as an opportunity to enrich themselves. Gov. Bello said that in the past, some government appointees looted and diverted fund meant for the development to erect Filling Stations, Hotels and Housing Estates at the expense of the people. “We must go after them to recover the looted fund for use of the common people in the state,” he stated. He charged the new appointees to embark on selfless services as well as make sacrifices for the betterment of the people who elected the government, stressing that any one who is not ready to serve will be shown his way out. 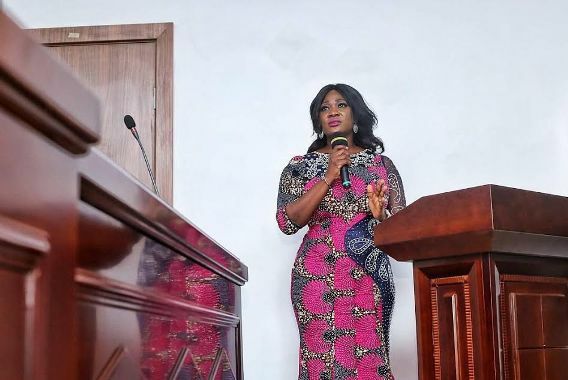 In a vote of thanks, Senior Special Assistant, SSA on Entertainment to the Governor, Mrs Mercy Johnson Okojie commended the Governor for being gender sensitive. She said Bello has united the people of the state ever than before through people oriented policies and programmes. Mercy Johnson, a Nollywood superstar, hails from Okene local government Area of Kogi state. 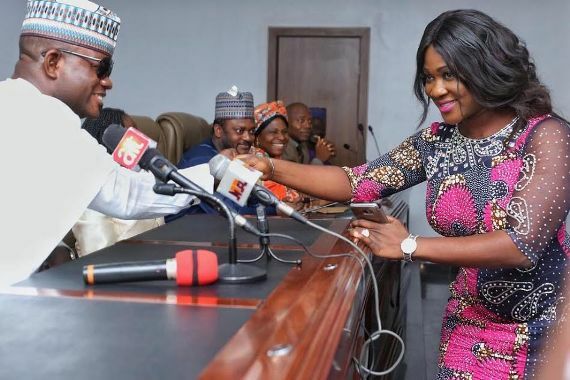 0 Response to "Official Photos: Mercy Johnson Sworn Into Office As Senior Special Adviser To Kogi State Governor On Entertainment"